Orthodontic treatment can solve problems connected to the position of the teeth, problems with the bite, problems with the temoromandibular joint (TMJ) and last but not least, is one of the most effective tools for esthetic dentistry. 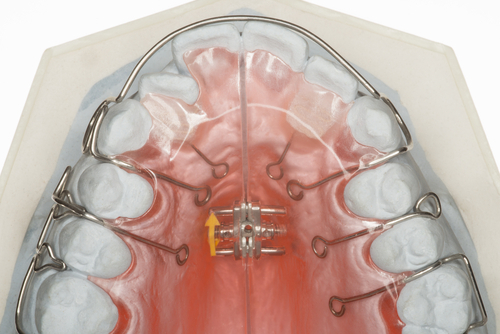 It can be used in combination with other treatments to solve complex cases or as part of minimally invasive dentistry. Why choose Barcelona Dental Studio for orthodontic treatment? According to the Sociedad Española de Ortodoncia (Spanish Society for Orthodontics), orthodontics is a dentistry specialism that studies, prevents and corrects changes to dental development, the shape of dental arches and the position of the jaw, with the aim of restoring morphological and functional balance to the mouth and face and improving facial aesthetics. If you do not like the idea of wearing metal braces from a esthetic point of view, we can offer alternatives such as lingual braces or Invisalign clear aligners. Our orthodontics team specialises in treating all types of malformations and defects in the teeth and we have many satisfied customers. We offer each patient a personal consultation to make sure they are fully satisfied before and after treatment. Trust the professionals, do not leave your health and your smile to chance. We offer the highest quality orthodontic treatments in Barcelona in a pleasant and convenient location. We plan your case and keep you completely up to date on all the stages of your treatment. Our specialists and staff work hard to make sure your experience is a pleasant one. Our patients are very important to us and we do everything we can to make sure we provide the most up-to-date treatment. The decision to start orthodontic treatment is one that lasts a lifetime and that is why it is important to be treated by a specialist orthodontist with experience and access to the best possible treatment for your individual circumstances. At Barcelona Dental Studio each patient is treated by a specialist orthodontist with experience in the different types of treatment. We believe finances should not be an obstacle to getting a perfect, healthy smile. To help our patients, we are pleased to offer a range of flexible financing options for each case. There are currently different types of orthodontic treatments available. From traditional orthodontics using metal braces, to more cutting-edge treatments using the latest invisible orthodontic technology called Invisalign. Although orthodontics used to be a branch of dental treatment that was mainly used on children, this has changed and now orthodontics is used on all types of patients from young children to adults who require braces and are suitable for them. When a child patient has signs of needing orthodontic treatment, it is important to visit the dental clinic to be assessed by a dentist specialising in orthodontics, who can use preventative measures and treatments that help guide the growing mouth. This can help avoid more severe malocclusion in adulthood and if orthodontic treatment is needed it will be a simpler process. If the patient is an adult with all their teeth and has finished growing, then only corrective treatment to align the teeth will be used. These are the most commonly used devices to align the teeth. Braces are available in different materials, some of which offer a more discreet treatment option. The classic metal braces are very useful but are very obvious in the mouth and so nowadays are more commonly used in younger patients. However, porcelain and sapphire braces can be used to make the treatment less obvious and are more popular with adult patients. This treatment is aimed at those who want to align their teeth with braces, but have never taken the plunge because they do not want the very obvious traditional braces in their mouth or are worried about discomfort. Invisible Invisalign braces, as the name suggests, are invisible. They are totally transparent and can be worn discreetly. These treatments are exclusively for children, patients who are still growing. This treatment uses both fixed and removable devices that guide growth and improve the condition of the mouth and the position of the teeth. They can also be used to temporarily discourage habits that affect the teeth and alter tooth alignment and produce severe malocclusion, which is more difficult to treat in adulthood. Whatever the requirements of the patient, at our Barcelona Dental Studio dental clinic, we can offer the right treatment to suit each case. Lingual: It consists of invisible braces placed behind your teeth so no one knows what to wear unless you tell them to. Invisalign: They are transparent removable and removable aligners that progressively correct the bad dental position and that you can wear without anyone noticing them. Lingual brackets are placed behind the teeth, rather than in front of them, and therefore offer a great esthetic alternative for those who want to have their teeth aligned without having to show the appliances. The process for lingual orthodontics consists of taking an impression of the teeth, which is sent to a dental laboratory and these molds are used to create the custom brackets. The process takes several weeks and, once completed, allows the orthodontist to bond the brackets to the back surfaces of the teeth through a specific process. Like traditional appliances, they work by continuously applying gentle forces to the teeth to help them slowly change to their correct position. Treatment may take from 12 to 36 months, depending on the severity of each case or the patient’s teeth or bite. Having a big smile is worth it despite the temporary inconvenience and expense. Some people dare not invest in it despite the difference it can make in their health and smile. Lingual brackets are an answer to this problem. After all, a beautiful, straight smile with healthy teeth is absolutely worth the effort. Invisalign straightens teeth using a series of virtually invisible, removable (removable) aligners that are custom made specifically for your teeth. As each aligner is replaced every two weeks, the teeth will move slowly, week after week, moving gradually toward the projected end position. 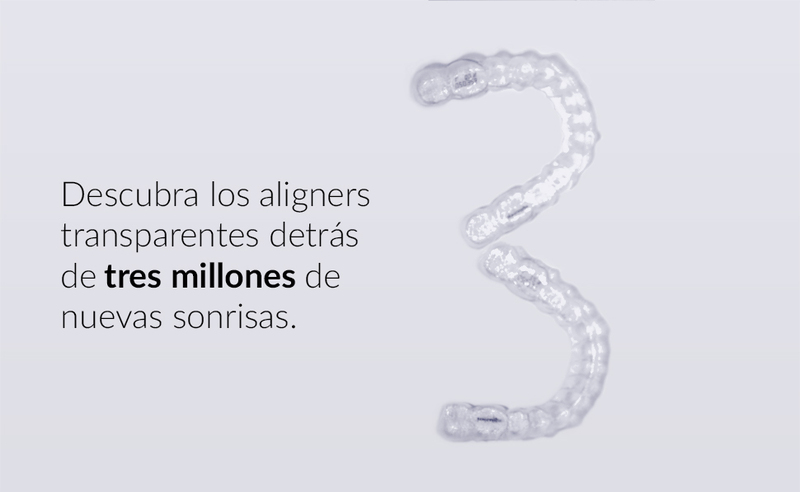 A comfortable, invisible and removable system, Invisalign transforms your smile without interrupting your life. Orthodontics for kids, when is it necessary? The appropriate age to treat malocclusions varies depending on the type of problem and its severity. Therefore, it is advisable to consult a specialist as soon as an anomaly is discovered. However, we recommend that whether or not a problem is detected, children should be taken to the orthodontist for a check-up at least six years of age. Preventive treatment in children should be started before malocclusion occurs. Parents should take their children to the dentist regularly so that the dentist can identify the first symptoms and advise on treatment when deemed necessary. Orthodontics for teenagers, when is it necessary? The best time to start treatment depends on the nature of the problem or malocclusion. Preventive treatment should be done as soon as possible. Parents or teens should never decide for themselves, but leave this responsibility to the orthodontist. It is best to start if corrective treatment is needed around the age of 10 or 12. They last about a year and a half to three years, and are usually completed when the permanent dentition is complete, except for the wisdom molars. The ideal age to begin corrective treatments does not mean that they cannot be started later in adolescence or adulthood. Depending on age, treatments will have different goals and outcomes. Orthodontics for adults, when is it necessary? Treatments in adult patients are also usually carried out in collaboration with the general dentist and other specialist dentists. There is no reason why an adult should not consider the possibility of a treatment in this age of advanced techniques, different aesthetic treatment alternatives and a social environment that is giving great importance to the presence and personal image.